• Oxbridge Apartments require a £100 deposit to hold your reservation refundable on cancellation within the required period. 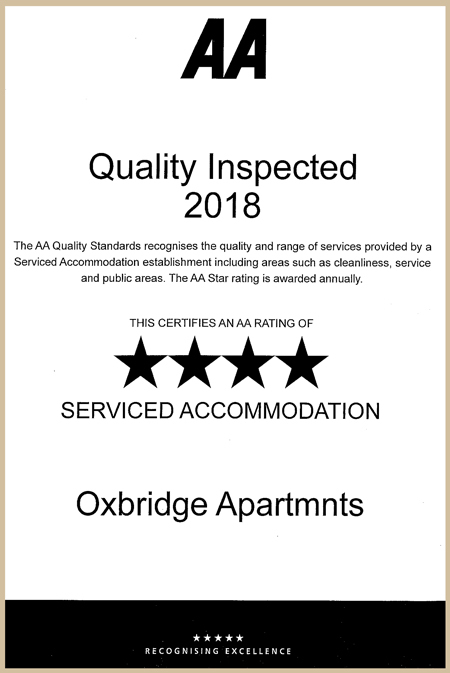 • Oxbridge Apartments require 48 hours notice for cancellation of reservations of 7 nights or less. • A cancellation fee of one night will be charged for less than 48 hours notice. • Oxbridge Apartments require 7 days notice for cancellation of reservations of 7 nights or more. • A cancellation fee of up to 5 nights will be charged for less then 7 days notice.